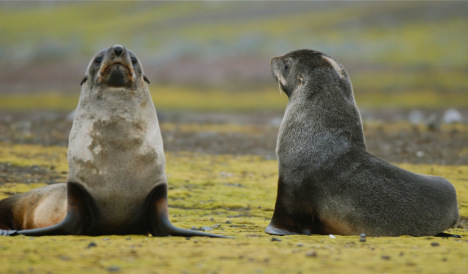 How will changes in the Antarctic food chain affect aquatic mammals? bberwyn photo. FRISCO — Climate change will fundamentally change The Ross Sea, one of Antarctica’s productive biological regions, but exactly how those changes will play out is hard to predict, scientists said after running computer models combining sea-ice, ocean, atmosphere and ice-shelf interactions. The region is likely to experience ‘severe ecological disruptions,” a group of scientists wrote in their new study, explaining that rising temperatures and changing wind patterns will create longer periods of ice-free open water, affecting the life cycles of both predators and prey.